The hardest part of debt reduction is knowing where to begin. Many people live paycheck to paycheck and wonder where the money is going to come from. They feel lucky if they have a few dollars in their pocket when they receive their next check. There is much more waste when we live like that. Sure, some bills get paid that prevent shut-offs and even the minimum balance on the credit card, but what happens to the rest? We go get a few things to eat at the grocery store, get coffee before work each morning. Maybe get lunch with co-workers. We just have to have money in our pockets just in case something comes up that we want to do before that next paycheck. Let’s not forget that we deserve to relax after a hard day’s work with a beer or wine cooler. What is necessary, though? All this adds up after awhile and there are alternatives that not only are better choices but also are better for you. People, in general, tend to waste about 15% of their monthly income on frivolous things. Many times are not realizing where their money went. Considerations need to be made to find the money to place towards debt reduction. This is preparing you for finding where the money went that is going to be used to help you reduce your debt. You are going to do this for a month. The point is to determine your spending habits so you can see at the end of the month where you can make changes. Debt is not something you want hanging over your head forever so you need to have a solid plan where you can cut corners and use this for your debt reduction. When you see how much is wasted, you can find ways to reduce it and use the money left for this strategy on debt reduction. Take those needs out of your check each week and place the rest towards debt reduction. For many, this is difficult because it takes more than one paycheck to make a payment on rent, heat, electric or groceries, not to mention the weekly gas that gets you back and forth to work every day. You have to have a strong resolve to hold that money back for your needs when you see the money go out for debt reduction. You realize you are still living paycheck to paycheck, but this time, you are making progress and will be able to reap benefits from it if you can just stick with it. Automating the Debt is what I like to call this strategy. Make a list of all the credit you have that needs to be eliminated. This should be your credit cards and loans. Now list your debt from the lowest amount owed to the highest amount owed. Now, pay off the lowest amount first. The preference here is for instantaneous satisfaction. Once you feel the success of accomplishing that goal, it gives you the incentive to move on to the next. This time, the money it took to pay off that first amount is going to be added to the minimum payment you were paying on the next amount. As an example, there are two credit cards and a personal loan that needs to be paid. The cards have a balance due of $375 and $4,789. The loan has a balance of $2,953. The plan would be to pay off the $375 on the credit card the first month and make the minimum payments on the loan of $100 and the other card of $125. Now it is the next month. I only have two debts, one loan, and one card. Since I made minimum payments last month on both of them I will continue to keep putting that same amount towards each but I am now going to add the freed up amount of $375 to the loan minimum payment. I know have $475 to put towards paying off that loan and still make the minimum on the card that is left. That automation is called satisfactory debt reduction! 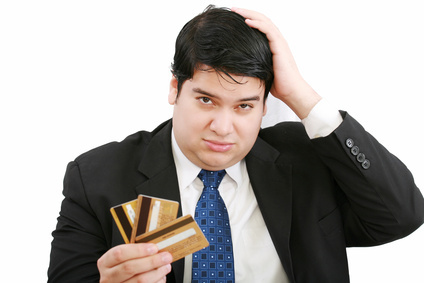 Do you realize that when the loan is paid off that you will be applying $600 towards that credit card? That is money that you thought you didn’t have. When you make that final payment on your credit card you will have just automated your debt reduction strategy into retirement. It doesn’t matter whether you use one of these strategies or any of the other strategies out there. Debt reduction should be important to you because it affects your purchasing power and your ability to get or keep a job, in some cases. It is hard when you have a household that either has needs that do not fit into such drastic cuts as outlined above or are adverse to the idea of drastic cuts. That is understandable. Not everyone is up to the task. You will find ways if you are serious about debt reduction. It may take you a little longer, but your resolve will push you through. That is just who you are. You will find creative ways to work around the situations that arise and find ways to debt reduction that may end up as the newest strategy. The above strategies have been tried and are successful for people. They work for some, but not everyone thinks or does things the same way. Find what works for you.